Parents have no greater fear than learning their child has been seriously injured or killed. Unfortunately, children are too often victims in Missouri car accidents. Millions of Americans are seriously injured in car accidents each year. Many accident victims are vehicle passengers such as young children, teenagers or the elderly. If you are a passenger who was seriously injured in a car accident, or if you are a parent whose child was seriously hurt, speak to an experienced St. Louis car accident injury lawyer as soon as possible. You have rights — protect them! Automobile accidents are often more dangerous for child passengers because of the severity of injuries. Despite the laws that are in place to protect child passengers, car accidents remain one of the leading cause of deaths among children between the ages of 0 – 13 years. According to a study conducted in 2012, about 121,000 auto-accident injuries are reported among children annually. Every 34 seconds, a child in the U.S. is involved in a car accident. Approximately one out of three children were not restrained by safety equipment. Car seats can reduce the risk of serious injury by 71% among infant passengers. In 2012, about 284 children were saved in car crashes due to the fact that they were using safety restraints. If your baby or child was hurt in an accident, it is your duty as a parent to advocate on their behalf. Particularly with babies who are unable to communicate their pain and suffering with words. Our firm is comprised of compassionate car accident lawyers who will help to make the legal end of your car accident easy for you, while you tend the health and well-being of your injured child. Parents have no greater fear than learning their child has been seriously injured or killed. Unfortunately, children are too often victims in Missouri car accidents. According to the National Center for Statistics and Analysis (NCSA), car accidents are the leading cause of death for children ages 2 to 14, and 20 percent of all children killed in car accidents are struck by drunk drivers. Our firm aggressively pursues anyone responsible for your child’s injuries or wrongful death. We realize that no amount of money can truly compensate you for what you have gone through, but we firmly believe our clients should not be responsible for the costs of another person’s negligent driving. We will help you obtain compensation to pay for the proper medical care, which includes covering the medical bills you have already accumulated. Many children are injured or killed in front over or back over accidents. In other words, many accidents occur when the driver, while doing a back over fails to notice the child and runs over him. Missouri car accident attorneys feel that such accidents occur because children’s playing areas are generally in close proximity to places where vehicles are parked. Head injuries are the most commonly found in babies after a car accident. Concussions are a serious side effect of these types of traumas. The trouble is that most tests for brain injuries involve sensory cues to assess any cognitive damage, such as follow the doctor’s finger with your eyes, or asking questions that the victim should know the answer to. These types of cognitive tests are impossible to perform on a baby who has yet to develop some of those very cognitive skills that doctors are trained to look for in head trauma injuries. The lack of skeletal development in a baby makes head injuries even more serious for them, necessitating treatment quickly to avoid future problems with developmental milestones and educational delays. Even worse is the possibility of future psychological disorders or paralysis if the underlying cause of trauma is not diagnosed and treated quickly enough. How does a concussion affect the victim? Concussions can cause headaches, affect memory, balance, judgment, and coordination. Both adults and children can experience these symptoms. However, some studies show that the long-term effects of concussions suffered by children in car crashes can have a profound effect on their development in the future. In a recent study conducted by the Ohio State University’s Center for Biobehavioral Health, the scientists aimed to identify the children that may be at greatest risk for experiencing lingering symptoms. The study involved 186 children in the age group of 8-15 years, who had suffered mild brain injuries such as mild concussions. The results were based on the symptoms (as reported by the parents) experienced by children up to 12 months after the injury. It was found that 60 percent of the children with concussions or another brain injury with no loss of consciousness. In most children with these injuries, the symptoms resolved within a few months, however, the results showed that problems may persist for up to 20 percent of the children. Symptoms such as forgetfulness are more likely to linger than dizziness, fatigue and other physical problems. Seatbelt restraints, car seats, and booster seats have the ability to maximize safety for children in cars. Children tend to outgrow their car seats quickly. 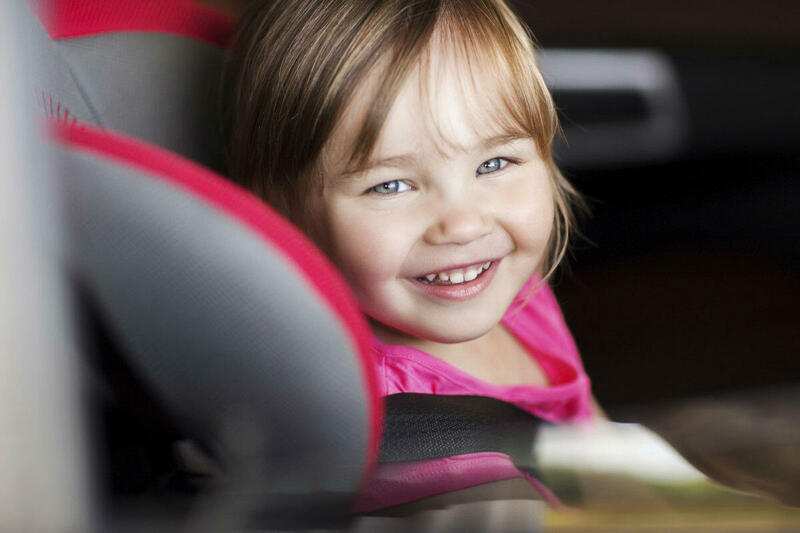 However, the longer children use a booster seat, the safer the child is from car accident injuries and fatalities. Click here to connect with Missouri child safety laws. It is essential that children between the ages of 8 to 13 properly use a seat belt. Using size and age-appropriate car seats and boosters are as important as using safety restraints in vehicles. A child should fit well in a car seat or a booster to ensure maximum safety. It is mandatory to have children one year and younger always placed in a rear-facing car seat. Children two years and up should be placed in a front-facing car seat that is equipped with a harness and tether to ensure securing the child snugly. A booster seat should be used only when the child outgrows the forward-facing seat. When securing a child to a car seat or a booster, the lap belt should snugly rest on the upper thighs and the shoulder belt should extend beyond the chest and shoulders. We understand that if your child has been injured, it has been a difficult time in your life, watching your baby suffer from head trauma and not being able to get a clear prognosis. While hard to think about, it is important to start considering the possibility of your baby’s long term medical care and how you will be able to provide for that. We can help you come up with a plan for filing a claim and pursuing compensation that will provide rehabilitation therapy and ongoing medical care for your injured baby. Parents, caregivers, and drivers should take every possible step to ensure that children do not play in the area where vehicles are parked. They should also be extra careful while driving or parking vehicles in an area where children generally play or move around. For the education of readers on child safety and to prevent non-traffic related child injuries, Missouri car accident lawyers have compiled a list of safety tips for parents, caregivers, and drivers. Before getting into the car, you should walk around the parked vehicle and check if there are any children around. Also, see to it that there is nothing around the vehicle that can attract a child. Look under the vehicle before you get inside. Designate safe play areas for children. Make sure that children play in the areas that are away from moving and parked cars. Do not let children get in and out of the car unattended. Hold the hand of the child when they are in parking lots, driveways, or sideways, and also when there are moving cars around them. If you are to make a child wait, make sure you designate a place where they are easily visible to the drivers. When a child is injured in a car accident caused by someone else’s negligence, the child has the right to compensation, including pain and suffering. The child has the right to collect damages and the parents have the right to receive compensation for medical bills and lost wages associated with the child’s injuries. Because a child cannot negotiate a settlement on his or her own, the parents or legal guardians are allowed to negotiate on behalf of the child. In order to reach a settlement, the parents may need the approval of a judge for the settlement amount. A St. Louis child car accident attorney can file a form and submit it to the court for authorization. If the child’s injuries are caused by another child, the negligence and carelessness notions are similar to that of an adult who causes injury. However, the standard of care used to establish negligence is different, because a child’s expectation of responsibility is not the same as that of an adult. A teen driver, if held liable for causing injuries to a child, will most likely not have much money of their own, so the teenager’s parents will be named in the lawsuit for compensation. However, determining if a parent is legally responsible for the action of a minor can be complex. Consult with The Hoffmann Law Firm, L.L.C. for legal guidance. If your child has been seriously injured or killed in a car accident due to another’s negligence, talk to a Lawyer for Free 24/7 at (314) 361-4242! As one of the preeminent firms helping victims of St. Louis car accidents, we understand how to build strong cases. When you hire our firm, you can be confident that everything will be done to protect your rights and recover the compensation you need.